She and her builder husband Paul, 43, have had so little rest that they have slept in separate rooms for months so Carla can soothe the twins if they wake up. 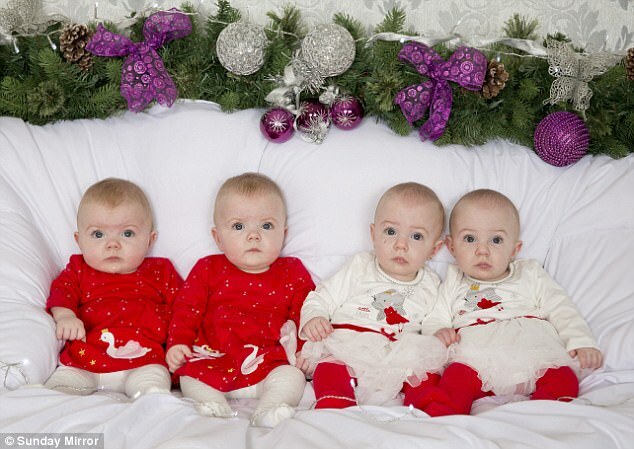 Quadruplets who defied 70million-to-one odds to be born are looking forward to their first festive season together. 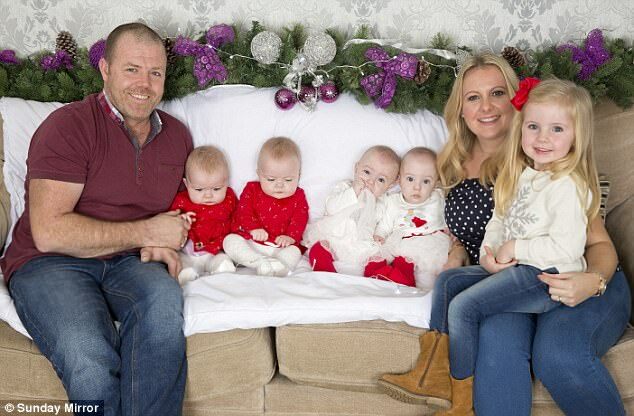 Carla Crozier gave birth to two sets of identical twins named Isla, Demi, Alyse and Milla 12 weeks early in March. Now they are nine months old and their 35-year-old mother is looking forward to getting a nice sleep this Christmas at the family home in Grays, Essex. She told the Mirror: 'I look at each of them and I get butterflies in my tummy thinking: 'Wow, I've got four babies and I love them so much'. They once booked a hotel to enjoy an evening for his birthday but they both simply fell asleep. The couple have faced years of pregnancy traumas including negative tests and miscarriages - with it taking five years to have their first child Darcie in 2013. They then wiped out their savings by trying for a second child through self-funded IVF but were successful after a final attempt last year. 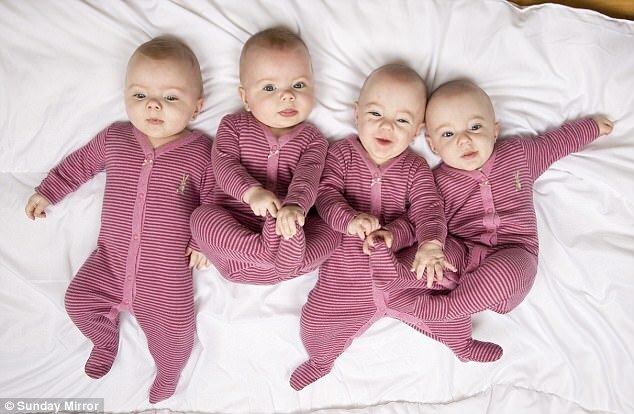 In September the couple were shocked to discover that Carla was expecting quadruplets.